Hotels and resorts come in all shapes and sizes so one static view is not enough to present a building effectively to prospective clients. Visrez has developed an exciting new feature which allows 3D building models to be rotated 360 degrees in the browser. 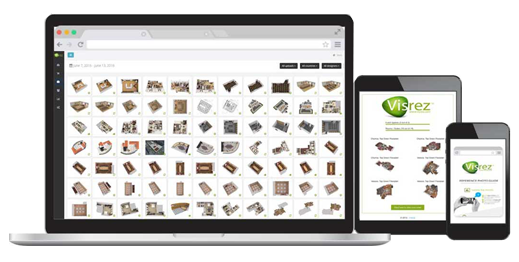 The Visrez platform can now generate rotatable exterior 3D models which incorporate over one hundred individual renders within our popular web-app. 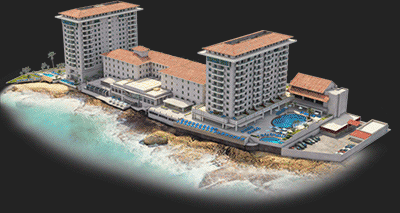 This exciting update allows users to spin the 3D building model to view from all angles. We can also include some landscaping and context elements in a smooth rotation which works equally well on desktop and mobile devices. The reaction to this update has been really positive with many clients saying how they had been looking for such a product for years. This can be added to a client site using a single line of code without any plug-in required by the end-user. Here is an example of the historic Condado Vanderbilt Hotel in San Juan, Puerto Rico which incorporates its’ coastal location nicely into the web-app.